So you’re engaged…Congratulations! 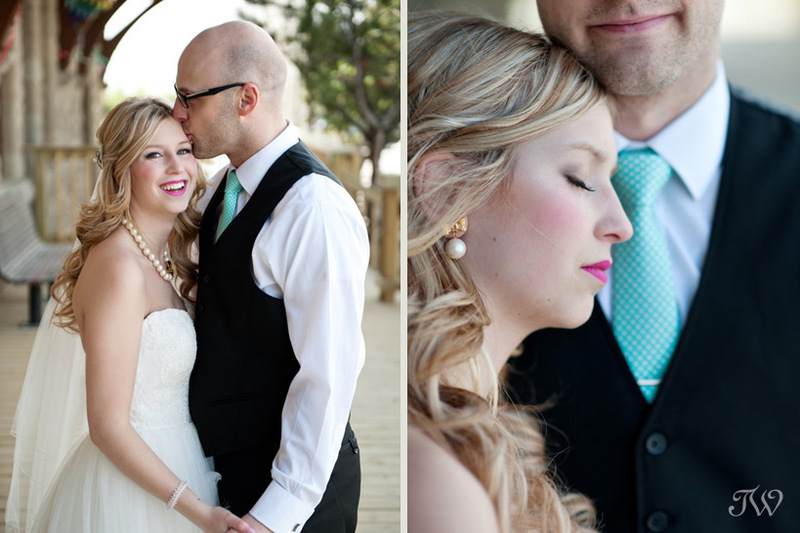 Choosing your Calgary wedding photographer is a big decision so I’m glad you stopped by. It’s important to figure out what style of photography you appreciate the most. Let me tell you a little bit about my style. I love clean composition and beautiful light (anything backlit actually) and you’ll see that in my photographs. On a day that flies by, I long to create imagery that tells your story, just as you remember it. One of the greatest compliments I’ve received from former clients was that taking their wedding photographs was one of the favorite parts of their day. I keep the mood relaxed and fun and the images timeless and true. “I have always loved the traditional aspects of a weddings – I love the idea of a father walking his daughter down the aisle and lifting her veil in front of the altar”. 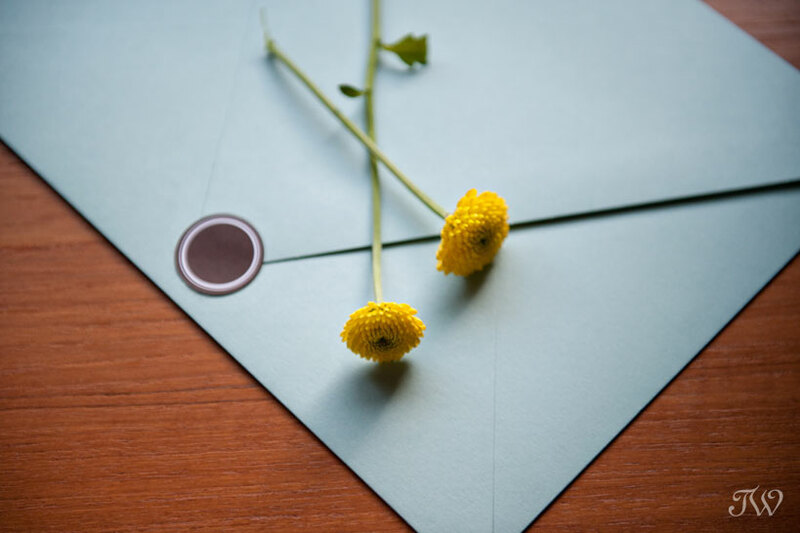 From your very first email till you pick up your wedding photographs, expect to be treated like my highest priority. My communication is prompt, my style relaxed and you will feel completely pampered throughout the process. You won’t have to wonder, “what happens next”? I will walk you through the entire process ensuring that your wedding images are better than you ever imagined. It’s very important to me that you are completely satisfied with your wedding photography. In 2018 I’m celebrating my 11th year as a Calgary wedding photographer and I am comfortable with whatever location, lighting or situation that pops up on your wedding day. This short film by Laura Ann Cinema will give you a behind-the-scenes glimpse at my work. My full day wedding packages begin at $4600. For couples planning an intimate wedding or elopement, I offer a 3 hour package for $2000. This elopement-style package is available weekdays, Sundays and select Saturdays. Please contact the studio about availability and pricing. I’d love to sit down for a coffee and chat about your wedding. 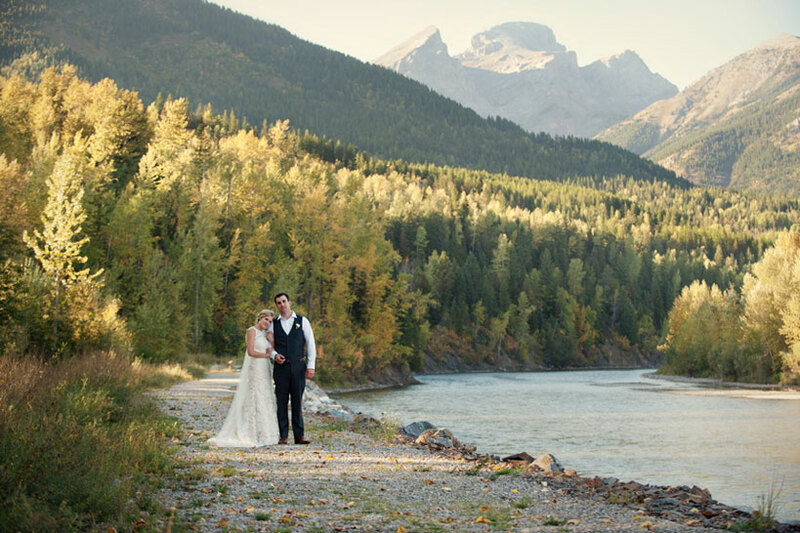 If we want to book you as our Calgary wedding photographer what do we do first? The first step is to contact the studio for availability and pricing. Next we’ll arrange a face-to-face meeting. You end up spending a lot of time with your wedding photographer, so I always recommend a consult so that we can get to know one another. It gives you the opportunity to ask me any questions you may have and I can hear what your priorities are when it comes to your photography. If you reside outside of the Calgary area, I would be happy to arrange a meeting via Skype or Face Time. To complete the booking we will finalize and sign a wedding photography contract. 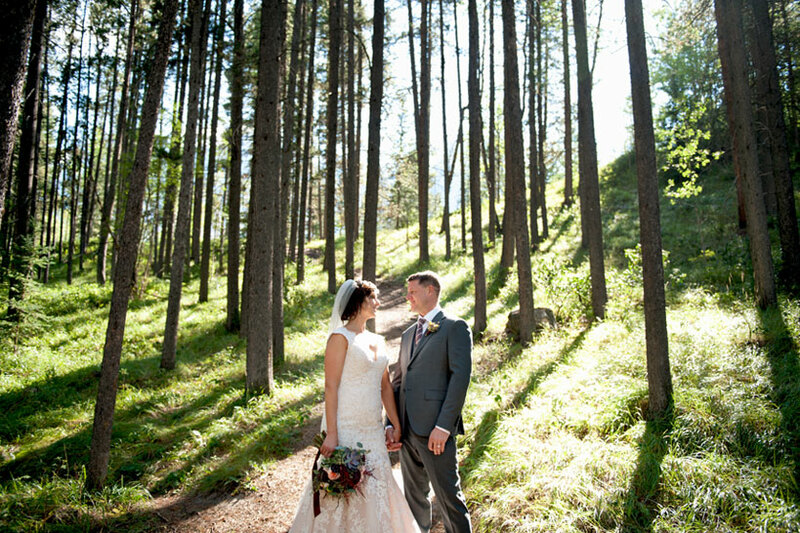 How far in advance should we be booking you as our Calgary wedding photographer? In order to ensure photographic excellence and incomparable customer service, I accept a limited number of wedding commissions per year and one wedding per weekend. My calendar fills up quickly so you should plan to book 12 to 18 months in advance. Please email me to check my availability. Do your packages include the digital files? Yes. All of my packages include the high resolution images that have been uploaded to an online gallery and storage site. 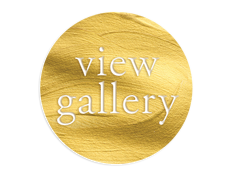 From this gallery you can view, share and download your wedding photographs. While I maintain the copyright, my packages include printing permissions, meaning you can reprint your wedding images. Engagement photos will be available for online viewing approximately three weeks after the session. Weddings normally take 4-6 weeks. My fiancé and I are not photogenic. Can you help us? Yes, of course! Many couples approach me because they appreciate my journalistic style but some couples take a little longer to warm up and need a little direction to create those images. Each couple is unique and I take my cues from you. 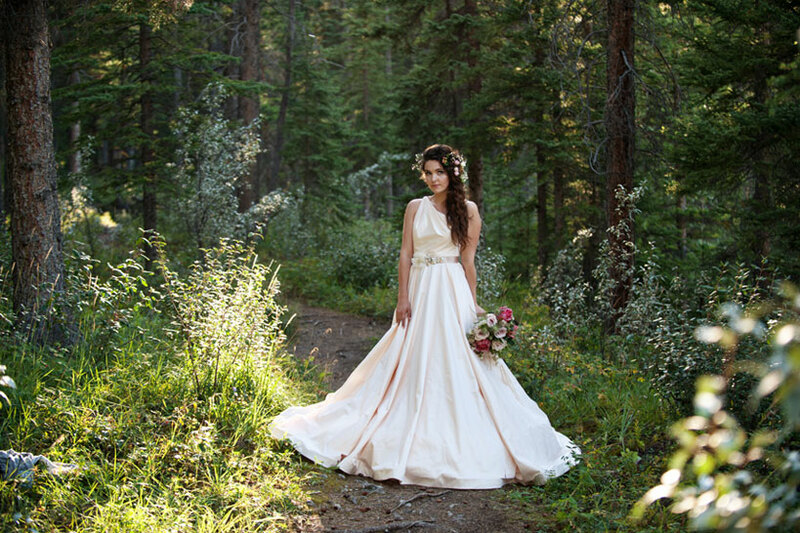 My years of experience as a Calgary wedding photographer will help you look natural and feel beautiful. 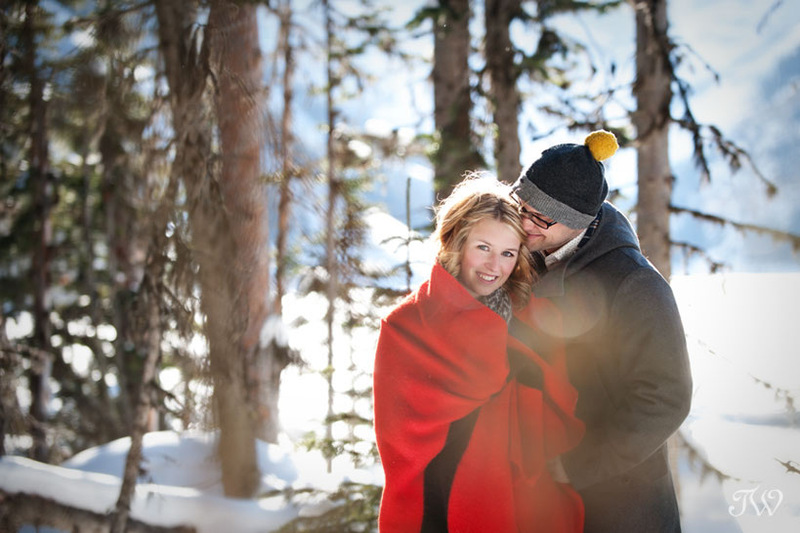 Planning an engagement session is one way to get comfortable in front of the camera. We get to know each other a little better and by the time your wedding day rolls around, we’re already old friends. You know how I work and I know how best to capture your love. 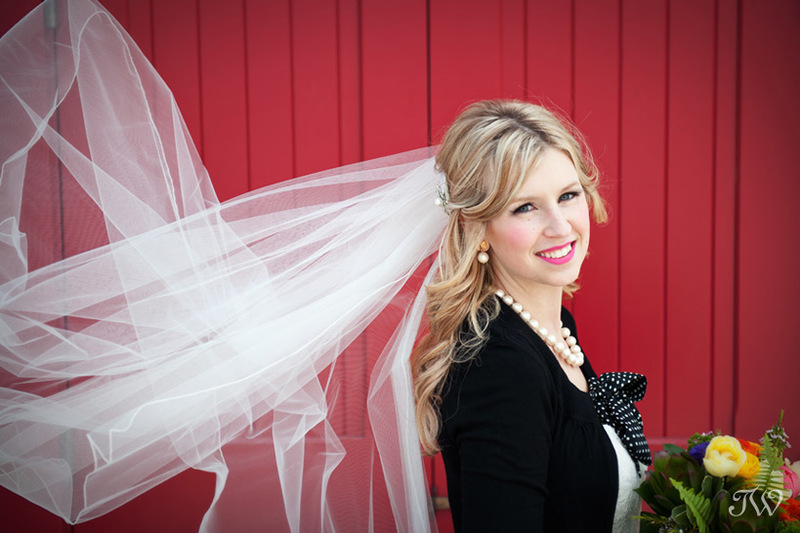 Choosing your Calgary wedding photographer can be a daunting task but I’m here to take some of the mystery out of it. In 2014, one of my wedding couples, Samantha and Pete, agreed to a behind-the-scenes glimpse as they selected their wedding package and planned for their wedding photography. 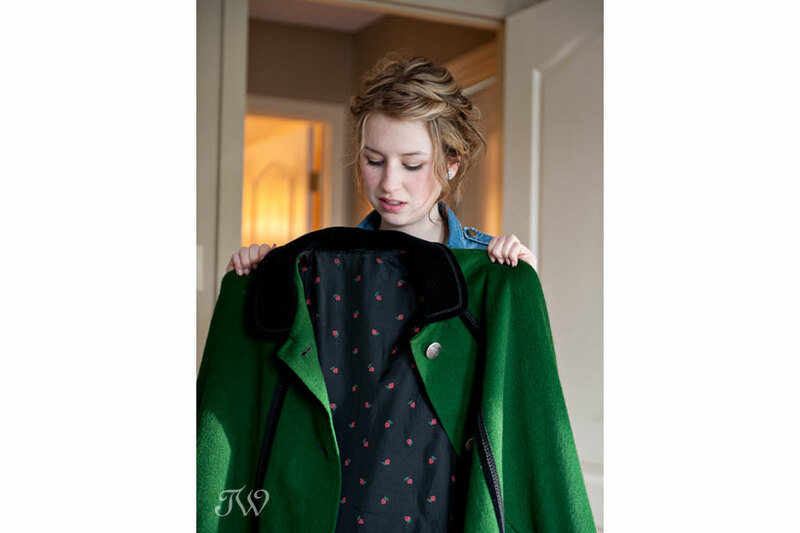 Through Samantha and Pete, you’ll be able to see what it’s like to have Tara Whittaker Photography on your team. Follow them from the first consultation in my studio, right through to their wedding. Without further ado, let me introduce Samantha and Pete. After first exchanging emails, we scheduled a consult in my office where they told me about their plans. I have a list of photography packages for potential clients to review. These packages are intended to be a guideline and aren’t set in stone. Each couple is unique and so are their wedding photography needs. 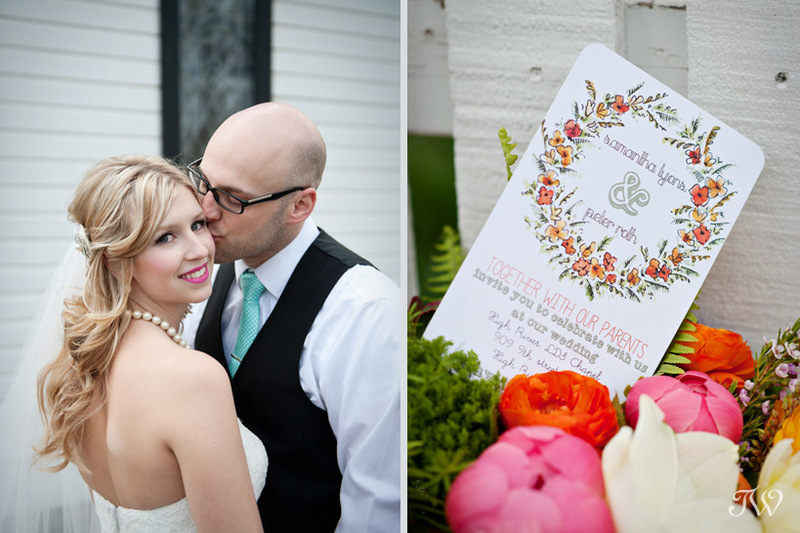 Sam and Pete were planning an intimate, colourful and casual outdoor wedding. You will spend a huge chunk of time with me as your wedding photographer, on a very important day in your life. Make sure that you like me and vice versa. Don’t get me wrong, I’m a very likeable gal, but ensure that I understand what’s important to you and be satisfied that you understand what it’s like to work with me. Quality wedding photography is a big investment. You don’t want to spend money on something without ensuring that you’re getting good value for your dollar. I encourage you to meet with me take a look at one of my previous weddings from beginning to end. Flip through the pages of an exquisite heirloom wedding album. 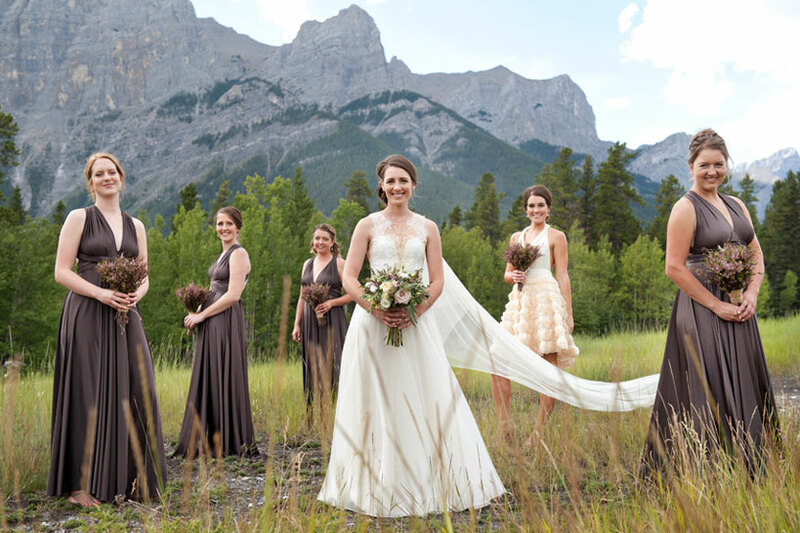 Chat with me about my experiences as a Calgary wedding photographer. I don’t bite. Transparency in my life and in my business practices is very important to me. I’m not a pushover but I’m also not a used car salesman. I’m not here to manipulate you. It’s a no-obligation consultation and the decision to book or not, remains yours. Mostly likely, this is your first time planning a wedding. 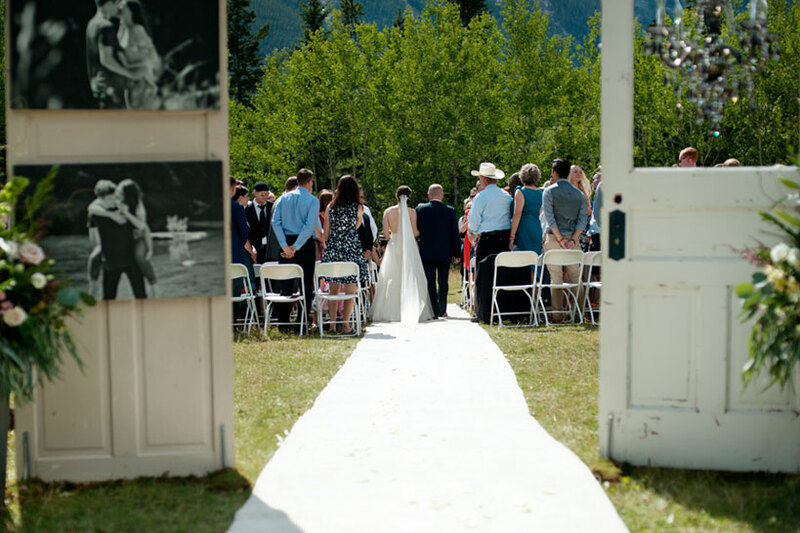 I’ve been a Calgary wedding photographer for 10 years now and I’ve attended A LOT of weddings. I’m offering this experience to help you as you make decisions, but not to twist your arm. I offer custom wedding packages. I do have a wedding photography menu but it’s intended to be a guideline. I encourage you to sit down and explain what your priorities are. You will never know that I can’t provide the perfect package for you if you don’t ask. For Samantha and Pete, wedding photography was a huge priority. 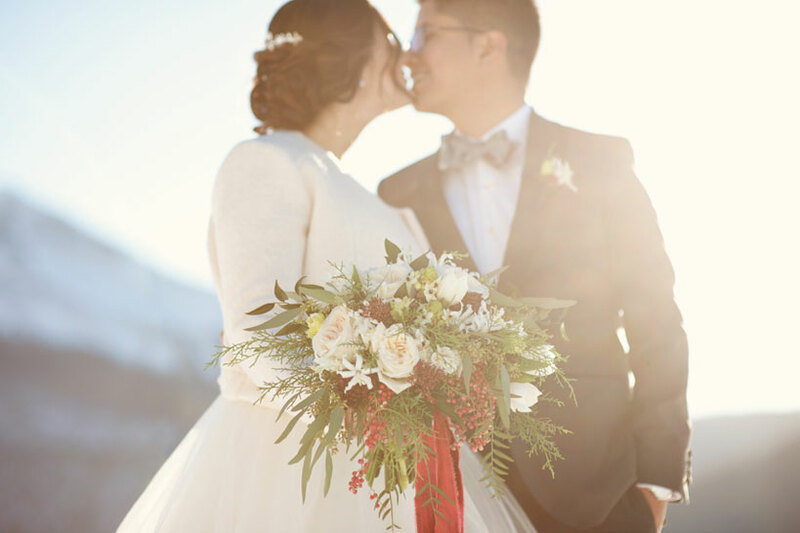 To create a package that worked within their budget, we agreed on an elopement-style package with four hours of wedding coverage. 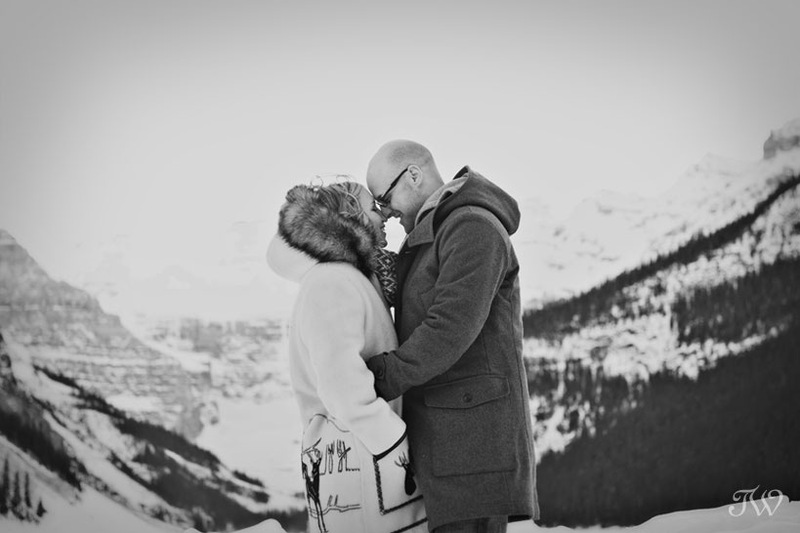 Because Samantha and Pete were having a spring wedding, they decided to do a winter engagement session at Lake Louise, for a completely different look. 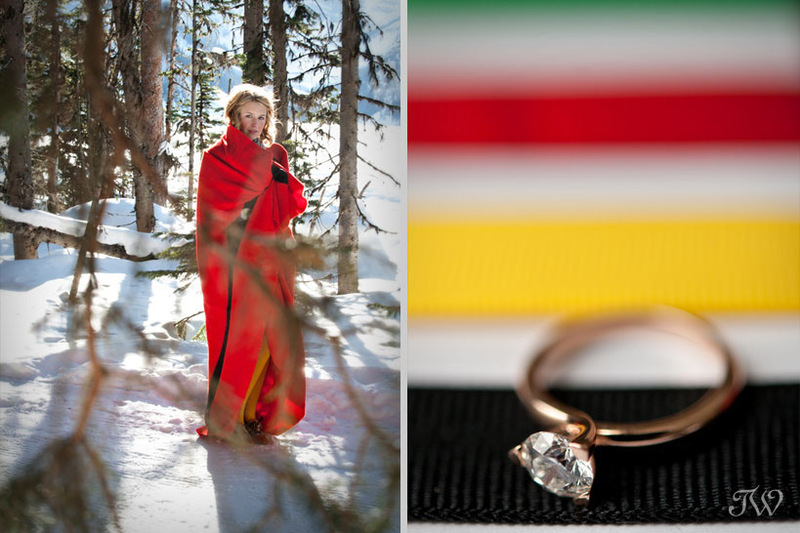 The starting point for all of our engagement photo ideas was a vintage, Hudson Bay Scarlet Point blanket. What a great way to add a pop of colour against a snowy backdrop. 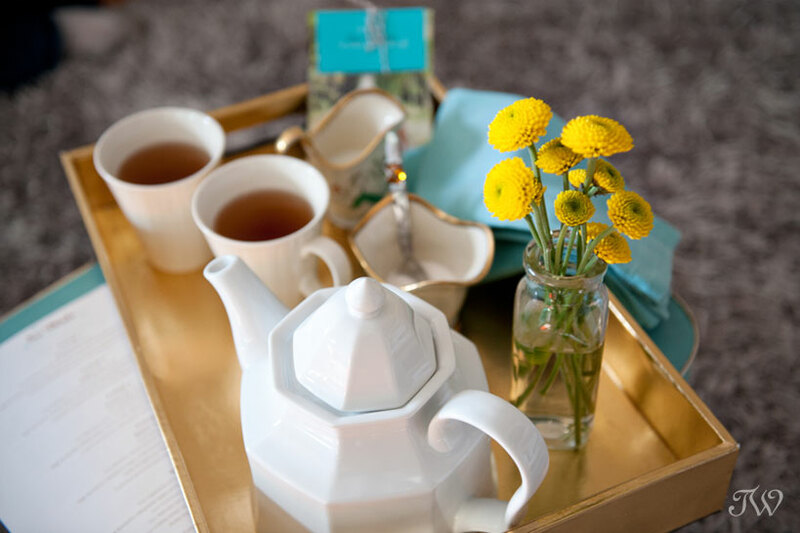 To help with the planning process, I started a Pinterest inspiration board for their shoot. I was able to show them some of my ideas for locales and props and they could see them on the screen, combined with Samantha’s wardrobe suggestions. Between the mountains, the glacier and the snow-covered lake, Lake Louise was basically a winter wonderland that day. There’s nothing I like better than a beautiful setting, a pop of colour and a couple who are crazy in love. Would you like to see more engagement photos? The big day finally arrived and Samantha and Pete tied the knot in High River, Alberta. Their wedding was colourful and light-hearted, yet completely sincere. Here’s more from Samantha and Pete’s wedding day, if you’d like to see. 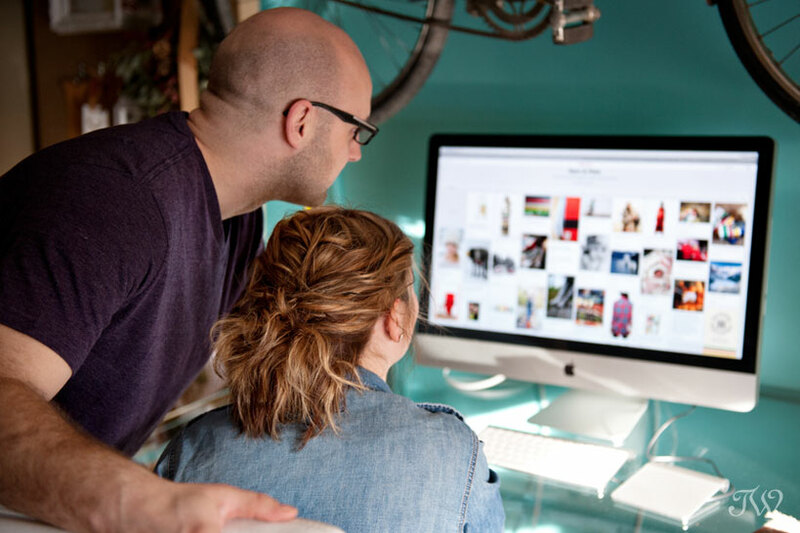 When the time comes to see your engagement or wedding photos, clients come to my office to view a customized slide show of their images. I encourage them to cozy up on the couch with a glass of bubbly and remember their day. This is one of the few times I love to see my clients dabbing their eyes. Congratulations Samantha & Pete and thanks for this glimpse!